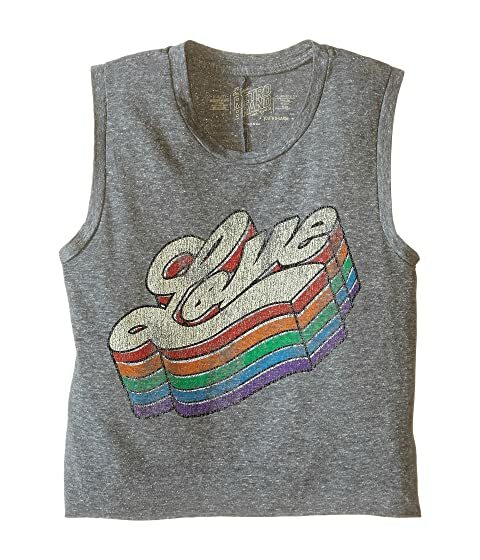 Girls' ultra soft tri-blend muscle tank features a streaky "Love" graphic at front. Product measurements were taken using size XL Big Kids. Please note that measurements may vary by size.